Most superhero movies and shows offer origin stories, but we rarely find prequels. Gotham counts, I guess, but since it includes so many of the Batman characters, it feels more like a very gradual origin tale. With the TV series Krypton, however, we get to see life on Superman’s home planet generations before Kal-El’s birth. 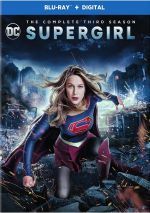 Season One includes 10 episodes across two Blu-rays. The plot synopses come from the package’s insert. That’s a pretty loose summary, isn’t it? Of course, “Pilot” introduces us to a lot more than just Seg, as we get a bunch of other new characters. We also find a decidedly grittier view of Krypton than seen in prior TV series and movies. That’s an interesting choice, and probably necessary to sustain Krypton, as the usual depiction of Superman’s homeworld tends to feel sterile. That said, the “Pilot” makes Krypton seem an awfully Earth-based, what with Seg’s working-class demeanor and bar brawls and whatnot. We’ll see how the series develops, but the “Pilot” brings a slightly rocky start. House of El: “Seg adjusts to a new life, a new rank and a new threat”. After the ample introductory exposition of “Pilot”, “House” brings us… a lot more exposition. This seems necessary, given the scope of the series, so that doesn’t bother me. The lackluster quality of the show does, though. “House” shows some glimmers of promise, but like the first episode, it feels scattered and less than enticing. Again, I hope to see improvements as we go, but after two programs, I can’t say Krypton does much for me. Earlier I stated that the gritty view of Krypton might be necessary, as the more utopian take from the movies would lack drama. I now feel less sure about that, mainly because the darker take on Superman’s home feels contrived and stolen from other sci-fi efforts. Three episodes in and I have yet to take much of value from Krypton. Four episodes into Krypton and I think a lack of identity remains the series’ biggest problem. We get so many bits “borrowed” from other properties – especially various iterations of Star Trek - that it never forms its own personality. “Word” doesn’t manage to alter this equation, so the series remains fairly lackluster. Given what we know about the El/Zod relations from movies, the decision to make Seg romantically involved with the eventual mother of General Zod seems intriguing – or like a cheap gimmick. Take your pick. I lean toward “gimmick”, as the narrative thread doesn’t add much to the proceedings. “House” becomes another mediocre show that doesn’t manage to elevate the series above bland soap opera. With the introduction of a major Superman character, “Wars” briefly shows some promise. However, the story becomes undermined with the usual dull stabs at political intrigue so it becomes another episode without much dramatic impact. As we proceed deeper into Season One, the drama should amplify. Unfortunately, matters continue to plod, as we get banal material without much real intrigue or impression. “Transformation” becomes another mediocre show that fails to break this trend. With additional information about Adam’s backstory, “Night” almost becomes interesting – almost. Unfortunately, the usual melodramatic nonsense drags down the rest of the episode and makes this a bland entry. With so little time left in S1, should I expect “Hope” to finally lure me in? Nope – that’d be a tough feat, given how disenchanted the first eight shows left me. “Hope” does attempt to heat up the action, of course, but it doesn’t do this in a convincing manner. We get more of the standard theatrics and nothing much to add impact. As S1 ends, it does so on a shockingly positive note. Where was this exciting, compelling series all year? While the fact S1 waited so long to offer something interesting disappoints and frustrates me, at least the year ends on a positive note. Perhaps S2 will pick up where this one leaves off and become a strong year of episodes. S1 finishes well but exhausts patience on the way to the big finale. 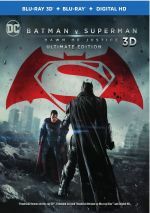 Krypton appears in an aspect ratio of approximately 1.78:1 on this Blu-ray Disc. As expected, the shows offered solid visuals. To the surprise of no one, Krypton went with an emphasis on teal, and it threw out orange as well. These colors seemed tedious, but the episodes displayed them in an appropriate manner. In addition, the DTS-HD MA 5.1 audio of Krypton also satisfied. With plenty of action on display, the soundscapes boasted a nice array of information from all five channels, and the information moved well. This left us with broad, immersive soundfields. They used the different speakers to create a good sense of the fights and mayhem. The TV series’ budget meant the audio wasn’t quite feature film quality, but it still seemed very good. Five episodes sport Deleted Scenes. We get nine of these with a total running time of eight minutes, 23 seconds. Don’t expect much from the scenes, as they offer padding mostly. Nothing memorable appears in these short clips. On Disc One, we find a 2017 Comic-Con Panel that runs 22 minutes, 52 seconds. The piece includes comments from showrunners Damian Kindler and Cameron Welsh and actor Cameron Cuffe. The panel brings general notes about story, characters and the production. A few decent insights emerge but most of the program remains fairly vague and promotional. Disc Two presents Bringing the Home World to Life, a 17-minute, four-second reel with info from Welsh, Cuffe, Kindler, staff writer Nadria Tucker, executive producer David Goyer, prop masters Paul Davis and Ray Perry, visual effects producer Ian Markiewicz, and production designer Ondrej Nekvasil. “World” looks at sets and production design, effects, and props. It delivers a fairly good view of the series’ visual choices. Life on Krypton spans 22 minutes, 38 seconds and features Cuffe, Welsh, Goyer, Tucker, and actor Ian McElhinney. “Life” examines the series’ depiction of Kryptonian society as well as characters and story elements. “Life” brings a decent synopsis, but it never becomes especially insightful. Finally, a Gag Reel goes for three minutes, 22 seconds. It gives us the usual silliness, so don’t expect anything fresh. 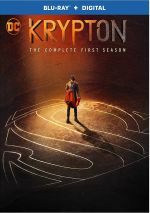 Despite a fairly promising premise, Season One of Krypton winds up as a dud. The series lacks originality and it plods through most of the season, though it ends on a high note. The Blu-rays bring very good picture and audio along with a modest array of supplements. Maybe Season Two will allow the material to spring to life, but this collection of shows leaves me disappointed.